Oh heck yes! When a UB reader mailed us a link to a profile on Bear411.com, we were suspicious. But we got over that the second we clicked it. From there on out – pure joy. Ok, it looks like I have begun to blow up on quite a few blog sites around the world. 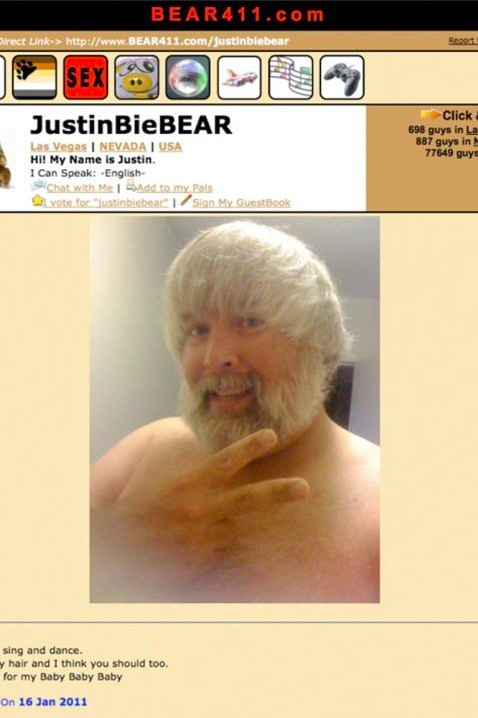 I hope you enjoy the irony that this is what Bieber will look like in 30 years. Yes, this is my photo and it has not been altered in any way. Anything, indeed! You can view BieBEAR’s full profile HERE. You’ll have to verify that you are 18 to proceed. Are you amazed? Terrified? Turned on? Tell us below.